Posted by GlennDavis on 06 Aug 2009 Tagged as: Faith, Gospel, Tim Keller The Penalty, Faith, and the Gospel Now I would remind you, brothers, of the gospel (emphasis mine) I preached to you, which you received,in which you stand, and by which you are being saved, if you hold fast to the word I preached to you�unless you believed in vain.... 3/10/2018�� As Tim Keller starts to highlight solutions, my view and his view start to dramatically divide. 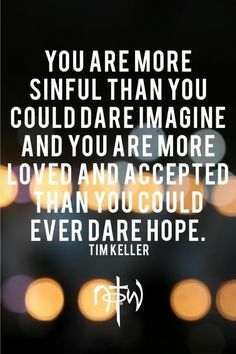 What one chooses not to say often speaks louder than what one actually says, this certainly is the case for Tim Keller. 18/03/2008�� Tim Keller visits Google's Mountain View, CA, headquarters to discuss his book, "The Reason for God." This event took place on March 5, 2008, as part of the Authors@Google series. At The Gospel Coalition�s 2013 National Conference, Tim Keller kicked off a Faith at Work post-conference by exploring what it means to be a Christian in the marketplace. Keller argues that we have to view our work through the larger Biblical story of Creation > Fall > Redemption > Restoration . Tim Keller, pastor of New York�s Redeemer Presbyterian Church and the New York Times bestselling author of The Reason for God, has taught and counseled students, young professionals, and senior leaders on the subject of work and calling for more than twenty years. Now he pulls his insights into a thoughtful and practical book for readers everywhere.